As I’ve mentioned before, I’m a huge sucker for dungeon crawling RPG’s. If one comes out, on a console or a handheld, chances are good that I’m going to run out and buy it, because this is a genre I grew up with and I’m looking for someone to do more with it than we’ve seen up to this point. The handheld market over the past few years has become something of a goldmine for this sort of genre, thankfully, as while the consoles have seen the odd release, such as Wizardry: Tale of the Forsaken Land and… uh, Wizardry: Labyrinth of Lost Souls (and its expansion pack, The Red Shadow of the Sister), on the handheld front, things are much sunnier. We’ve seen Mazes of Fate, Etrian Odyssey and its sequels, Heroes of Lagaard and The Drowned City, The Dark Spire, Class of Heroes, and Shin Megami Tensei: Strange Journey, among others, and more always seem to be coming, which is basically fantastic. Unchained Blades is the latest handheld release in this wonderful genre of dungeon exploration and heavy grinding, and as one might expect, it features lots of dungeon exploration and heavy grinding. However, it also features some surprisingly original ideas that work quite well and freshen up the concept a bit, and while they’re not quite enough to make something old brand new again, the end result is quite pleasing… if a little strange. Unchained Blades revolves around the goddess Clunea, though she plays little part in the actual story. The legend goes that anyone who seeks out the goddess and succeeds in meeting with her, or her representatives, can request one wish for anything they desire, and several people are doing so as the story begins. The plot primarily centers around three characters: Fang, the Dragon Emperor, Tiana, the phoenix princess, and Lucius, a dying swordsman. Fang comes to Clunea with no trouble and demands of her that she tell him who the strongest being in the world is; Clunea misinterprets this as a request for power, and when Fang basically calls her useless, she turns him back into his youthful humanoid form and abandons him in the Temple of Trials. Tiana, after an attack on the kingdom of the phoenixes, convinces her father to allow her to visit the goddess in hopes of eliminating a rumor that consuming phoenix blood has positive effects… though, in reality, she intends to wish to become a dragon because screw being a princess. Lucius is dying for unspecified reasons, and wishes to see the Goddess no matter what, for much the same reason. There are other important characters you’ll meet along the way who have their own reasons for undertaking the quest, like Hector, the golem who wants to be a child again, or Lapis, the medusa who wants to get over her fear of men, and they’ll jump into your parties as the game progresses as well. The overall plot and characters you meet are generally well written, and while the game makes use of the odd anime stereotypes here and there, for the most part everything works fine and carries the experience along with minimal difficulty. Visually, Unchained Blades makes good use of its artwork, and while it’s not a technical marvel, it does a good job with what it has. The character artwork is excellent, and all of the notable characters were designed by different artists, such as pako (Shining Force EXA) and Su Minazuki (Heaven’s Lost Property), and the end result is a group of characters who all look notably unique and exciting. The enemy designs are also top notch, and feature minor animation for regular enemies and significant animation for bosses, giving them a solid, lively look. The different dungeons you’ll go through are also very different from one another and look quite interesting. The normal enemies you face don’t feature much animation, and character discussions are all performed via portrait artwork, but this is a minor concern all in all. Aurally, the music in the game is absolutely fantastic and brings the experience to life very nicely. The voice acting is all in English, and while not all of the dialogue is voiced, enough is that you won’t feel like the voice work is lacking. The voice actors and actresses are also quite solid in their performances and there aren’t any lacking performances here, overall. The sound effects are generally good as well, and the various special sound effects for spell casting and such do a fine job of working with the spells they’re associated to, as do the normal combat effects. The noises your companion monsters make tend to repeat, however, but, again, this is minor. At a base level, Unchained Blades is a dungeon crawling RPG, which means that you’ll take a party into a dungeon, map out the floors, and beat the mess out of monsters, much like the majority of games in the genre. Movement is controlled with the D-Pad and/or analog stick, at your preference, and battles are handled by the old random encounter system. 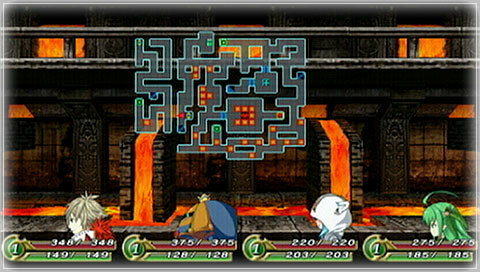 Combat is turn-based, meaning that you select an option for each character, press X to select it, and move on to the next character, and once everyone has an action picked, the characters and enemies perform their actions in order based on their priority (based on Speed, in this case). 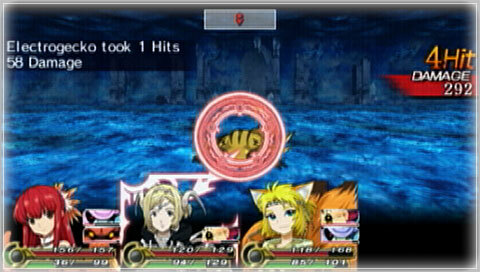 Canceling an action is as simple as pressing Circle, and the battle menus are a snap to navigate at all times. You can also press Triangle at the beginning of a turn to have everyone auto-attack if you’re confident in your chances, or Square to repeat the actions you performed last turn if you don’t want to change anything you selected from the last round. When not in battle, you can open up the full map with the Triangle button to see the overall map of the dungeon, or press Select to bring up the map on your screen. Square brings up the menu, allowing you to use items, customize characters, use spells and skills, and more. You can also save the game from here at any time, which is an automatic thumbs up in the game’s favor, seeing as how so many handheld RPG’s don’t get that this is something they need to be doing. Unchained Blades doesn’t just differentiate itself through its character designs and “save whenever you want”Â mentality, however. The most notable addition to the experience are the Unchain, Follower and Charisma systems, which all play into each other. Basically, the game explains that all of the monsters you’re facing in the Titans (the dungeons, which are actually animate structures themselves) are essentially insane from spending too long in said structures, and you can liberate them from this. As you smack the crap out of said monsters, once they’re below fifty percent health, there’s a chance that a pink circle will pop up on them, meaning that you can Unchain them. By selecting this option from the combat menu, you’ll then see a large pink circle and a smaller pink circle appear on the screen, as well as a circle that shrinks in from the outside of the screen to the center. Your goal is to press X when the shrinking circle is between the two circles; success Unchains the monster and removes them from battle, leaving them a potential recruit, while failure means you can try again on another turn. Some monsters have multiple circles, meaning you have to get each circle inside of the prior one, meaning that timing and good nerves are a must. Occasionally, you can even start a battle only to find that a monster has decided, hey, your team is pretty sweet, and they’ll offer up the Unchain option instantly. The odds of this popping up are influenced by your Charisma; the higher it is, the more likely you are to pop an Unchain. Raising your Charisma is done by winning battles quickly and efficiently, while fooling around too much or performing poorly can actually lower it. Your Followers will also occasionally ask you questions that, depending on how you answer, can raise or lower your Charisma, as well as impact their mood or even reward you with items. Once a monster is liberated, it can be accepted into your party as a Follower, and can be attached to the main characters, or Masters, as desired. 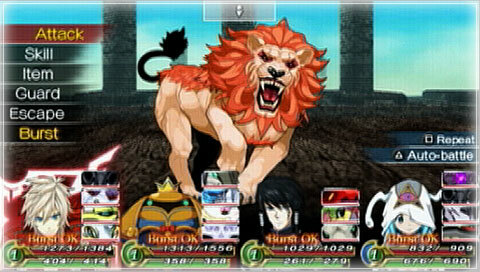 Followers serve two basic purposes when attached: they can contribute in battle and they can add Anima to their Master. Battle contribution is simple: each time you attack your Followers have a chance of joining in to add damage, and each time you’re attacked your Followers have a chance of deflecting the attack or taking the blow for you. Anima, however, requires a little more explanation. Each monster has up to three Anima attached, which represent elements that they are capable of using. On their own, they don’t mean much, but each Master has skills that require Anima in order to be available, and by mixing the right Followers with the right Masters you can open up all of the skills available to a Master with little trouble. 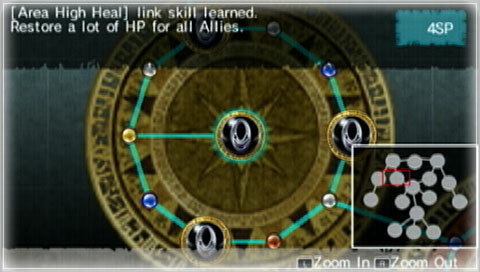 When using a Link Skill, Followers with compatible Anima can also add damage to the combination, making it useful to match up the right Anima you need as best you can. You’ll need to find Followers with compatible Anima, of course, which can take time, and even when you do, there’s no guarantee you can equip them. 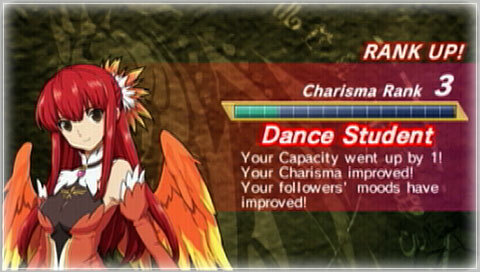 See, your Charisma level also determines how many “points”Â of Followers you can equip at one time. All Masters can have four Followers on their person at once, regardless of their Charisma, but at Charisma level zero (the starting level), you can only equip two points of Followers. Followers can be worth one or multiple points, as well, so you might well have to choose between having three one point Followers, a one point and a two point, or a three point Follower until you can level up a bit. This adds a nice tactical edge to the Follower system that’s useful to keep in mind. Followers can also level up as your Masters do, though they have maximum levels they can attain, so once they top out, it’s best to swap them out for other Followers if possible. Outside of the above systems, the game also adds in even more neat mechanics. The Burst System isn’t particularly new, as Etrian Odyssey did this, among other games, but it works well enough: as you take and deal damage your Burst Gauge fills, and when it’s full, you can use a Burst skill, which varies based on the character. Higher levels of Burst allow for more powerful skills, but also require you to spend more time building the gauge, as expected. The game also features Judgment Battles, where your entire crew of Followers bum rush an entire crew of enemy Followers, in what can best be described as a massive Dragon Force style brawl. Your Followers are more likely to win by being higher level (and in greater number) than their opponents, but you can also influence this in four ways. 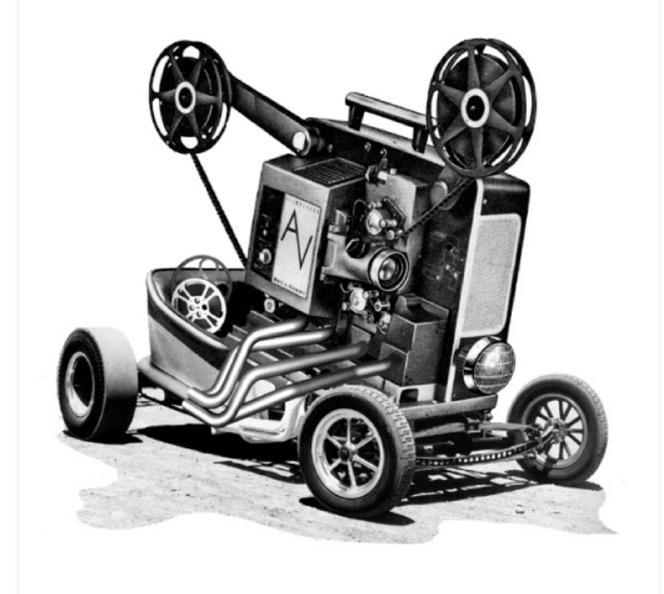 First, arrows scroll across the bottom of the screen and when you press in the indicated direction as they hit the box in the center, this gives your Followers a boost. Second, you can press either trigger to burn a Brave Jewel to give them a big boost, which is amplified if you’re losing. Third, occasionally a solo battle between Followers pops up, and if you spam X fast enough you’ll win and take out multiple enemy Followers at once. Fourth, you’ll occasionally be able to unleash a skill of your own, and the game will prompt you to do so, for added damage. Winning these battles pays out some nice crafting items and goodies and often gives you useful or quest-related items, making them worth winning, but losing only means you have to come back later and try again. The dungeons also feature traps of various sorts (poison swamps, spike traps, and so on), as well as campfires you can rest at to heal health only (and, if this is your first visit, hear some dialogue from a character) and healing crystals that boost your health and allow you to teleport home as needed. Leveling your characters up is also more than just the standard “spend your points”Â or “auto leveling”Â systems you’d expect. The simplest way to describe the leveling system in this game is, “like Final Fantasy X except not terrible.”Â Each character has several circles tied together that contain skills you can purchase, and each level allows you two Skill Points to purchase the boosts contained therein. Now, your characters do make minor improvements per level on their own, so leveling up always improves your character to some extent, and you can buy any skill you’re connected to, path-wise, hence the “except not terrible”Â comment above. Each skill circle contains ten boosts on the outside and one central boost (commonly a skill), meaning that you’ll have to buy all ten outside boosts to buy the central boost. Boosts can add to your personal stats, add skills to your list, improve your performance with specific weapons, or even unlock new weapon types for your character, and it’s up to you to decide what purchases best compliment your play style. The game also features a crafting system that allows you to hunt for items in the dungeon in various spots (some are stationary, others are random) by looking for the spots via a flashing ring that appears around your map icon and turns red as you get closer. Once at the spot, you can use either a trowel (for Harvesting), a saw (for Timber) or a pickaxe (for Mining) to get items until the spot is depleted or your tools are broken. You can also scavenge items off of the dead enemies you face in some cases. You can then take these items to the Crafting shop in town to make items at a significantly reduced cost… though the crafting has a chance to fail, so, uh, save beforehand. You can even take on quests at the town bar for added profit should you be able to complete them. The game will probably take you around sixty or so hours to plow through, between the different teams you play as and the need to level them up and the sheer amount of space you have to go through. Building your characters can be quite unique, however, so right away there’s some solid replay value built in due to the fact that characters can be quite different based on what skills you focus on acquiring for them, so you can go back to the game and change your team dynamics around as you see fit. The game is also, as noted, quite lengthy, and includes all sorts of hidden goodies, like doors that only open once you’ve reached some sort of specific level goal, or high level monsters in low level places that can be drafter as Followers (if you’re extremely patient) for a huge early boost, among other things. The sheer depth involved in character leveling and Follower assignment makes for a lot of interesting mechanical considerations, giving the player a lot of influence on how they want to progress with their characters as well. Frankly, Unchained Blades is one of the most in-depth games in its genre, and fans of RPG’s of all types should be able to find some interesting concepts and mechanics here to draw them in without too much trouble and keep them going to the end. Now, one of the reasons dungeon crawling RPG’s tend to not be as well received as their more conventional brethren is because they require a lot of freaking grinding, and Unchained Blades takes this to an absurd level. Transitioning to a new floor in any dungeon can require a good half an hour to an hour of grinding because of the jump in power of the monsters residing there alone, which, for fans, is hardly new. However, you’re also jumping between different teams as you play, meaning that you could go onto the next chapter and find that, surprise, you’re playing as a level one character and have to start all over again. Also, while Fang’s crew is your basic team of standard characters that are all useful in their own ways, Tiana’s team lacks an obvious healer class character unless you spend a large amount of time drilling out to Tiana’s healing skills, which, by the time you get them, are less useful than when Lapis gets them. Oh, and Lucius? He’s by himself. Yes, you are expected to grind through a chapter with one character, which is an exercise in pain so splendid that the game basically seems to be saying, “Hi! I’m really only here for people who thought Etrian Odyssey wasn’t absurd enough!”Â I mean, yes, clearing a dungeon with one character is possible, and the dungeons are structured with that concept in mind, but the sheer amount of backtracking and grinding involved basically make this impossible to recommend to anyone but a genre fan. The game even warns you, “You gonna die pal,”Â RIGHT BEFORE YOU START THE CHAPTER, which is just hilarious on multiple levels, to be honest. Also, while your characters are generally fairly flexible, players who are used to the majority of games in the genre may be vaguely annoyed that they can’t make their own characters and instead have to work within the confines of the pre-created characters, to be fair. Look, when all is said and done, Unchained Blades is the sort of game that is designed in the weirdest possible way relative to its genre, and still works, but it’s going to require some adjustment for anyone who’s interested in it. The storyline is fairly solid and the dialogue is written well enough, and the game is quite enjoyable to look at and listen to. The core mechanics are a snap to understand and work with, and the advanced mechanics, like the Unchain, Follower and Judgment Battle systems, are a lot of fun and very well implemented. The game is quite lengthy and deep, and allows for some very strong customization options for players to have some real fun with that may bring you back for a second or even a third go. However, the game is quite weird, in that it’s designed in a way that seems to aim toward bringing players not familiar with the genre into the fold, but is so mechanically rude that they’ll run screaming from it. The structured characters aren’t likely to appeal to players who are used to building their own parties of their own classes, and the sheer difficulty and necessity for frequent grinding, especially when playing a one person team, aren’t going to do anything to impress newcomers. It’s not that Unchained Blades is in any way bad so much as you’re left having no idea who it’s made for. If you like the genre you’ll love it eventually, but there are hurdles, both for diehard fans and newcomers, that are just… strange, though not at all game breaking. 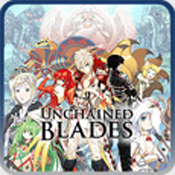 Unchained Blades is a good attempt to dust off the dungeon crawling RPG genre and make it something fresh and different, and as a result it’s a good, if very strangely structured, experience. The storyline is solid enough, and the character writing is interesting enough, to carry the game along well, and the visual and aural experience is quite nice all around. 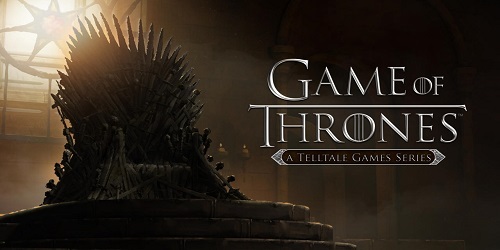 The game mechanics maintain much of the standards for the genre, making the game easy enough to play and grasp, but there are several notable mechanical additions, such as the Follower and Charisma systems and the broad structure of the leveling system, that make the game its own. There’s a solid amount of depth to the experience, between the wide variety of customization options offered to the characters and the sheer length of the game, and fans of the genre should have plenty of reason to come back for more once they’re done the first time around. 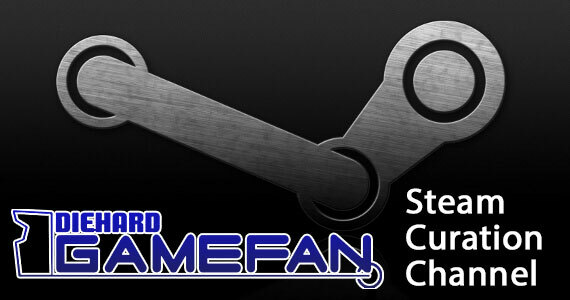 However, the actual structure of the game is strange, as the game is structured in a way that would bring the game to the attention of the more casual genre fan or those who don’t like the genre at all, but the actual game design is focused towards appeasing the diehard genre fan above all. The characters, though diverse in their options, are generally more limited in design than the fully customizable characters/classes of other games in the genre, which will be limiting to diehard fans, while the sheer difficulty of the game is likely to be off-putting to newcomers. Unchained Blades is certainly an interesting and generally strong entry in the genre, and there’s a lot of fun to be had with it regardless of your exposure to such games, but the game requires some concessions on the part of the player to truly be appreciable, and not everyone may be willing to make those. 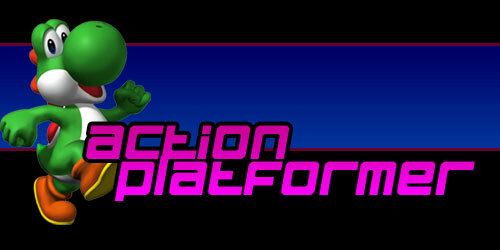 Action Platformer #1: Introduction, Yoshi and Scary Girl!